Natural Gas, Fuel of the Future or Methane Menace? Until the official Brexit date of March 29, 2019 the UK remains in the European Union — which means that Britain remains a party to the Comprehensive Economic and Trade Agreement (CETA) between the EU and Canada. And the CETA accord is a very fine agreement (as it should be, because it took 7-years to negotiate) but it may take another year or two to become fully implemented. At the moment CETA is only partially implemented, but eventually 98% of tariffs between Canada and the EU will be eliminated. Once Brexit happens on March 29, 2019, the UK will cease to be a CETA signatory and something else (a ‘drop-in’ agreement) will need to replace it. That is the topic of this blog post. Enter the United States, Canada, and NAFTA. Where’s Canada on the International Trade Map? Canada is a surprisingly strong exporting country. With a population of only 36 million and a territory that measures 3.855 million square miles, it means the country is practically empty. Across this huge landscape are fields of crops larger than the entire UK, but Canada’s few cities are large. In fact, the Greater Toronto Area (the GTA) is larger and has a greater population than the New York Metropolitan Area. And it’s an exporting superstar; Making it the 11th highest exporting nation in the world. What if There’s No New NAFTA Agreement? If the NAFTA agreement falters due to insufficient efforts between U.S. and Canadian negotiators Canada will end up producing cars for itself — which means it won’t be exporting 1.8 million cars to the United States annually once NAFTA is terminated (or) once President Trump slaps a 25% tariff on Canadian cars exported to the United States. Which means a lot of Canadian autoworkers are going to become unemployed the day after that announcement. Which means that Canada (insert drum roll here) needs a ‘Plan B’. President Trump Isn’t ‘Being Evil to Canada’ He’s Protecting American Interests Because That’s His Job! You can’t blame him for that. For goodness sake he’s the President of the United States, not of Canada. But Canada can’t sit idly by and wait for the world to end. The country must pick itself up and get on with business. And the best way to do that is to respectfully approach the UK and inform them that it’s likely NAFTA will be terminated or changed in ways that result in Canada having an excess auto manufacturing capacity of up to 1.8 million units per year. Such manufacturing capacity could be very useful to the UK government and to UK industry. The cost of living in the UK is much higher than it is in Canada, therefore wages in the UK are higher than in Canada. And it’s the reason why only premium car lines are built in the UK where the high labour cost for exceptional hand-built cars are reflected in the final price and nobody minds paying extra. See; Aston Martin, Jaguar, Land Rover, etc. Even Rolls Royce and Bentley were forced to move to continental Europe because they couldn’t afford the high labour costs of UK workers and the costly land/building/business costs of manufacturing cars in the United Kingdom. Post-NAFTA, huge opportunities exist for Canada to export lower-priced GM, Ford, and Fiat Chrysler (FCA) cars and trucks to the UK — freeing-up huge amounts of disposable income for Britons. Which means that saved money will be spent elsewhere in the UK — whether on home renovations, tuition, school supplies, vacations or investments — because it isn’t going anywhere (it isn’t going to magically vanish!) it will simply be spent on other items. Any Canadian-built vehicles that are exported to the UK over what the UK market can sustain can be forwarded to Commonwealth of Nations countries by UK re-exporters. India alone has a population of 1.32 billion and its economy is rising fast to become the third-largest consumer economy in the world. There’s no lack of demand for cars and trucks in the Commonwealth. All of which works to help the UK economy. Trump Wins, Trudeau Wins and May Wins! President Trump wins because he will have prevented Canada from exporting 1.8 million vehicles to the United States annually, and American factories (meaning American workers) will need to fill that demand gap, Prime Minister Trudeau wins because he will have saved the Canadian jobs associated with the manufacturing of those 1.8 million cars and trucks, and Prime Minister May wins because she will have ushered in three new lines of lower-priced vehicles for UK consumers and those savings will translate into higher levels of disposable income for British consumers that can be spent elsewhere in the UK economy. Is There Enough Demand ‘Out There’ to Float a post-Brexit UK Economy? Some Britons wonder if there are enough business opportunities ‘out there’ in the wider world for the UK to thrive and prosper, post-Brexit. As the graphic above shows, there are more internet users in China than there are citizens in all of the following countries combined: Japan, Russia, Mexico and the United States. With internet use in China alone growing at an annual rate greater than the entire population of the United Kingdom you’d think that even the most inept exporters in the world would be lining up to trade with the huge moneypot called China. Yet, because China isn’t selling itself as a huge marketplace for the world’s exporters and because Brexiteers haven’t ventured to research this part of the Brexit equation, it’s left to Bloomberg News (and me) to inform you of these astonishing developments. Jacob Rees-Mogg’s European Research Group is a fine organization devoted to fleshing-out the political intricacies of Brexit, trade with the EU in the post-Brexit timeframe, and other Eurocentric matters. Yet, when we view charts like the one above it becomes startlingly clear that an Asian Research Group is needed to fully inform us about politics and trade with Asia in the post-Brexit era. For example: How many Jaguar cars have been sold in the EU over the past 12 months? And whatever that number is, it will be a static number for the simple reason that only so many EU citizens can afford a Jaguar motorcar and every one of them simply phones the local Jaguar dealership to order the Jag of their dreams and the car is delivered to their home a few days later. How many Jaguar cars and SUV’s aren’t being sold in Asia because nobody bothered to research the full potential of the Asian market, or if they have, why aren’t Jaguar building three more factories in the UK to meet the demand of the rapidly growing Chinese middle class? If internet users in China alone have risen from 22.5 million in year 2000 to 802 million partway through 2018, that demonstrates astonishing growth in their middle class. And if those people are ordering goods and services on the internet because their disposable income is rising fast, why isn’t there an entire department of HM government devoted to helping UK companies to get those online orders instead of just standing idly by and allowing other countries to snap up that business? 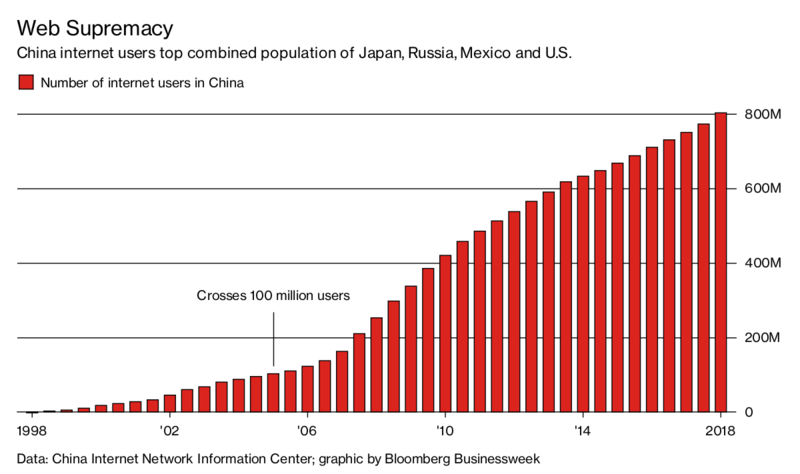 By 2030, there will be 1.6 billion internet users in China. How many Jaguar sales will have been lost by then? Millions of pounds sterling are being lost every month since year 2000 because nobody in the UK government was put in charge of this. Heads should roll over this shameful ‘oversight’ and not only in the government. Heads also in the Bank of England, London School of Economics, London Stock Exchange and other organizations need to stop whatever they’re doing right this minute and phone whomever it is that can quickly address this stunning oversight. Driving along the M4 on your way to the LSE right now? Have your driver pull the car over — you’ve got an important call to make — one that’s 18-years overdue. With the right stewardship of the country, any good or service the UK produces should have seen the same kind of sales increases as the number of Chinese internet users since 2000. Disposable income is disposable income — and it’s better that UK business gets that disposable income rather than businesses from some other country. From which, I can only assume that there *hasn’t* been proper stewardship of the UK economy since year 2000. It goes without saying that nobody knew for certain how the internet was going to grow back in the early 2000’s, therefore, policymakers of that era are largely free of blame. But as each subsequent year passed, this should’ve been addressed with increasing urgency. Certainly, everyone on planet Earth knew by 2005 that the Internet of Things (IoT) was going to be a major part of our civilization in a few short years. But the silence especially in the UK has been deafening. As noted earlier, it’s not all about the UK-built cars that aren’t being exported to Asia in huge numbers. Everything that the UK produces or manufactures in a year could be sold to China and the lot of it wouldn’t register a tiny blip on the Chinese financial charts as demand in the country is massive and it continues to grow at a geometric rate. If the UK tripled its entire annual GDP in goods, services and produce and then shipped all of it to China, it still wouldn’t produce a blip on the charts. And China continues to grow its economy at (artificially held to lower than) double-digit growth rates. Asia is the land of opportunity for all who have eyes to see and ears to hear. There isn’t a reason good enough for the UK government or British business to ignore it one more day. Allow me to make a prediction. Five years from now, the United States will have left NATO, NORAD, NAFTA, the UN, the WTO, the IMF, the World Bank, and every other multilateral organization and trade agreement on the planet. And there’s a simple reason for it; U.S. President Donald Trump feels that every organization to which his country belongs has ‘taken advantage of the United States’ for decades and the only way to ‘stop the hemorrhaging’ is to quit all those institutions — perhaps forever. Even if the U.S. decides to retain its UN membership for a time, my point will have been made. Perhaps the Trump administration will explain its position in an ongoing conversation at the United Nations as to why it’s leaving the other institutions first and then quit the United Nations body last as a final snub to the world community. Although these undertakings haven’t yet come to fruition, signs are forming that President Trump and his supporters may go the entire distance in separating the United States from the Rest of the World — and that’s especially true if he receives a second ‘mandate’ via the 2018 U.S. midterm elections and a third mandate courtesy of American voters in 2020. On the Way Out the Door, Grab Everything You Can! Enroute to leaving every multilateral organization and trade agreement on the planet, Donald Trump the negotiator may tell his people to extract every possible concession, from every possible country, every step of the way. If you think he won’t… sorry, you’re laughably naive. Remember, Donald Trump thinks that every country in the world takes advantage of American largesse every day of the year! A team of Harvard lawyers couldn’t convince him otherwise. Therefore, why would he want to stay in any of those political or free trade agreements? For Mr. Trump, interim negotiations seem nothing more than the necessary steps toward his goal of quitting those institutions completely. The U.S. midterm election results will set the course for the next two years as all 435 seats in the United States House of Representatives and 35 of the 100 seats in the United States Senate will be contested and if the Republicans win big, expect Trump’s isolationist plans to accelerate accordingly. If the Trump team does well, every country that trades with the United States better have a solid ‘Plan B’ ready to implement the day following the U.S. midterm election. A year later just won’t cut it. This President moves fast. For G7 and G20 countries, this means ramping-up trade with each other in an attempt to replace the great American marketplace where billions of dollars of foreign goods are purchased every day. For developing countries, not much will change as most of them have only tiny trade links with the United States. What Can G7 and G20 Countries Do? Having failed to grasp the full extent of the Trump determination to pull back from the rest of the world, some countries seem uncertain about what to do next, while others think it will simply ‘blow over’ and business will soon return to normal. But in Donald’s world, if you’re willing to sign an actual trade deal with his country he then feels he’s left too much money on the table and we’re right back to where we started — the world is taking advantage of the United States and America must never sign such an agreement! Countries that run large trade surpluses with the United States may start to notice curtailed trade with America, therefore every country must plan for changes in that trading relationship, because, like the song says, ‘The times, they are a changin’ and it’s no fun being stuck with tens of billions of dollars of stuff that you can’t export’ — because U.S. tariffs have made your goods too expensive or the U.S. border is closed to your exports. For countries with a less than $10 billion trade surplus with the United States, you’re probably pretty safe (for now) unless you start waving a red flag at the Commander in Chief. But if you’re a country that runs double-digit or triple-digit trade surpluses with the Americans, it’s officially time to panic. ‘Surely that’s an unreachable goal’ some might say, but even if countries miss the ‘unreachable goal’ by 50%, they’re still better off compared to not making the attempt. Even if it takes the Trump team five years to wrestle trade deficits down to a manageable level (think; $10 billion/yr per country) and even if it takes ten long years for countries to find replacement markets for much of the goods and services they presently sell to the U.S., they’ll still be glad they invested the time and effort. Countries with double-digit or triple-digit trade surpluses with America that get ahead of the curve are more likely to survive it better, while countries that don’t diversify may find themselves neck-deep in their own exports. Final thought? As the United States pulls back from the world, countries that double-down on building their Commonwealth/EU/BRICS trade links will rejoice. The relationship between the UK and the rest of the world is beginning to change as the UK exits the European Union. Not only that, but the relationship between the UK and the other Commonwealth countries is changing. And while all of that is occurring, it is also a time of change in the postwar international order. These changes are coming and we have no ability to stop them. What we do have though, is the ability to choose whether these changes are ultimately negative or positive for Britain. When every second country (seemingly) has WMD weapons, suddenly Win-Lose doesn’t work anymore. Do we really want to solve every issue between nations with nuclear weapons? Because eventually, that’s what it will come to. It’s great if you ‘Win’. But then you ‘Lose’ because the fallout from large nuclear explosions travel around the Earth a few times per season and nuclear particles continue to exist in the environment for decades (some isotopes linger for 20,000 years) and as everyone needs to breathe the air, eventually you will inhale and, well, (do I really have to tell you this?) your lungs will filter the radioactive isotopes out of the air. The ‘Winners’ of a WMD conflict will also become ‘Losers’ of that conflict within months. It’s nonsensical to consider nuclear war in the 21st-century. All of which means, that in the final analysis, international hot points must henceforth be solved by the cool hand of diplomacy. More than any other country, fighting for market share no longer makes economic sense for the UK, because every other country/corporation is likewise fighting for market share. Larger countries with serious export expertise and fully developed and long-term foreign client relationships have a distinct advantage over a born-again United Kingdom re-entering the exporting world. Fighting for market share against far superior marketing superpowers like Germany and China is like paddling upriver in a hurricane, and good luck with that. Rather than fighting for Britain’s slice of the pie, the UK should be the one country in the world that works to make the pie bigger for everyone! wherever free markets exist. In that way, whatever global growth occurs will benefit all exporters equally — including Britain’s born-again export economy, because the UK will have as good a chance as any to capture some of that growing pie — as opposed to fighting companies well entrenched in foreign markets and trying to steal tiny percentages of their total market share. See the difference? Rommel was right. And to adapt his truth to Britain’s new place in the world, fighting for market share in countries that are already well-served by European and Chinese exporters will gain British exporters very little and could create trade frictions between Britain and the European Union which is still the UK’s largest trading partner in the 21st-century. We don’t want that. Grow the entire global market — instead of fighting for tiny annual increases in market share. Win-Win political thinking and growing the global market is the best prescription for Britain’s economic future. Countries with rapidly growing economies like the BRICS countries and many Commonwealth nations are the best places for Britain to concentrate its export efforts. By helping those countries to succeed more than they would have without the UK’s assistance, Britain can grow its export base by selling to people in rapidly growing developing nations enjoying their newfound discretionary income. The example of India is most poignant, because in that country the average discretionary income of citizens is doubling every five years; All Britain’s leaders must do now, is to work respectfully with Prime Minister Narendra Modi and his ministers to the end that British exports to India are welcome and that Indian exports to the UK are just as welcome. (It helps if both countries aren’t manufacturing and selling the same items, of course) If India sells toasters in both countries then Britain should sell kettles in both countries, if you take my meaning. The less overlap, the better. A few years from now, when a larger percentage of India’s 1.5 billion population can afford to buy a new car, perhaps Indian companies will offer tuk-tuks, small cars and farm trucks for sale in India and the UK, while the UK sells family sedans and Landrovers in India and the UK. Any other method of working to each country’s strengths — without stepping on each other’s toes — would also be profitable for companies of both countries. What matters is that whatever method is chosen works for companies in both countries. With the right approach to rapidly growing countries and some standardized and respectful trade rules, the UK could help to grow the global pie, dramatically increase its own exports, keep good relations with exporting superpowers in Europe, China, and America, and be seen as a ‘White Knight’ to developing nations by playing a pivotal and ongoing role in helping them to build their economies. That future is so much better than bickering over fractions of market share with other (and economically superior) exporting nations — the very countries that Britain depends upon in many ways. Here’s to ‘Win-Win’ paradigms and growing the global economic pie; A plan that will work for the United Kingdom more than almost any other country — while preventing harm to Britain’s present and important trade relationships.